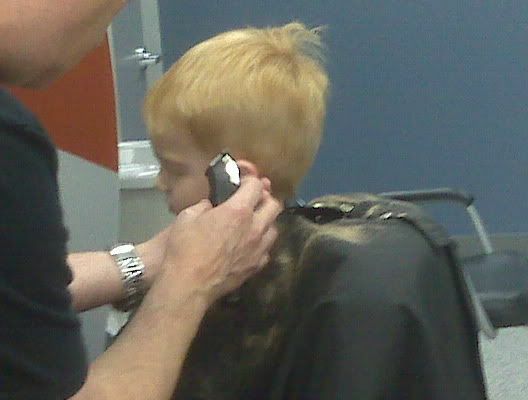 Evan and Daddy have a tradition of going to get their hair cut together, but the other week, Mommy got to go with them. She was amazed at how big Evan acted. 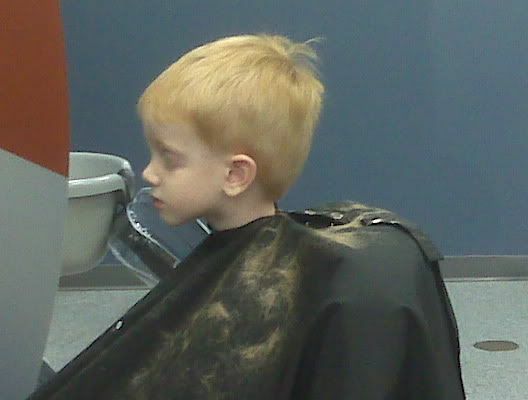 He played quietly with some toys while he waited, and then he sat up tall and straight and STILL in the haircut chair. Wow! 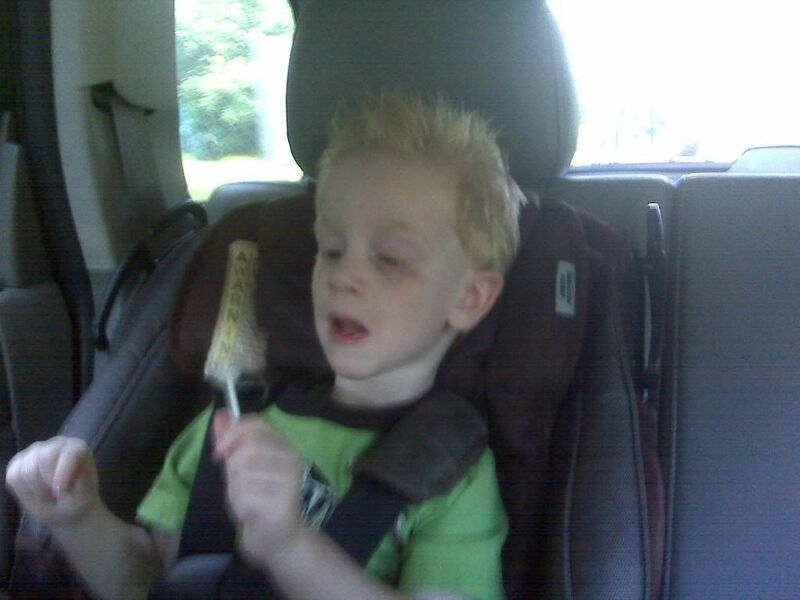 The barber even styled his hair with a little styling gel and gave him a cute little spiky do! Of course, Mommy had to snap a few pictures to remember this by. His hair had gotten a little long this time. 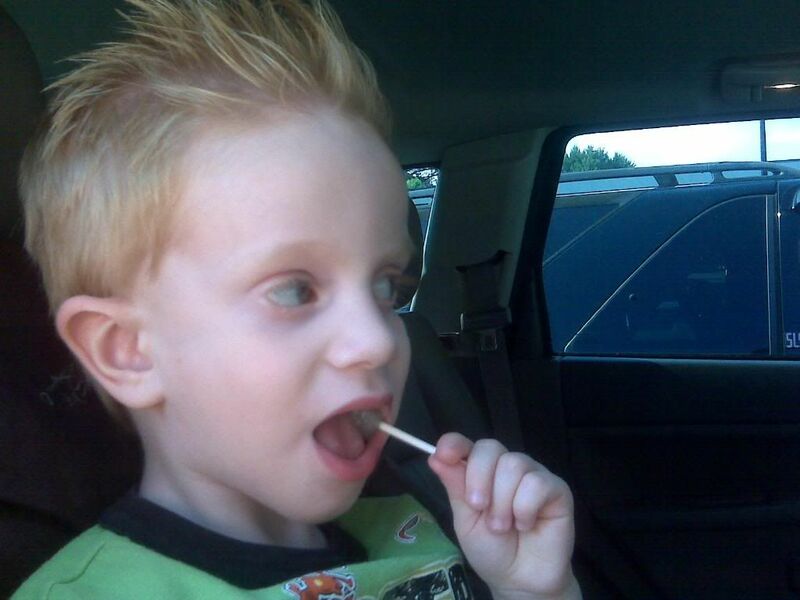 Enjoying his lollipop after his haircut. Check out that stylish do!